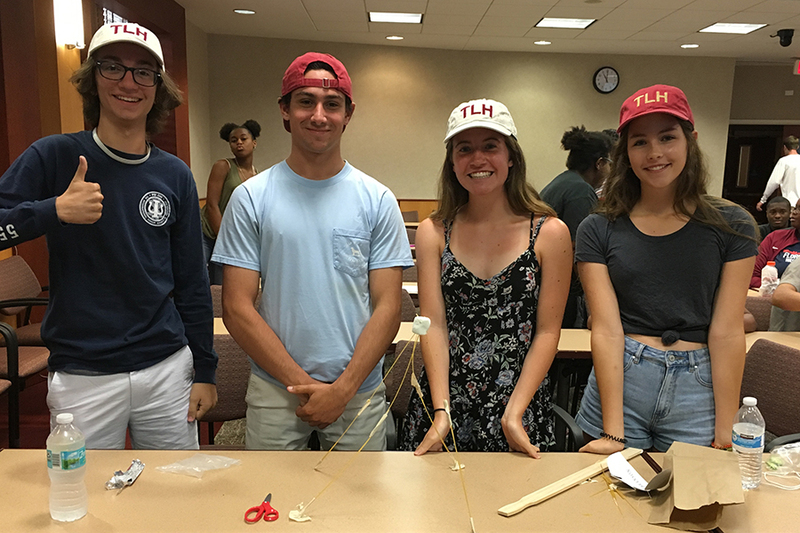 The Jim Moran School of Entrepreneurship hosted its first-ever camp for high school students in June. 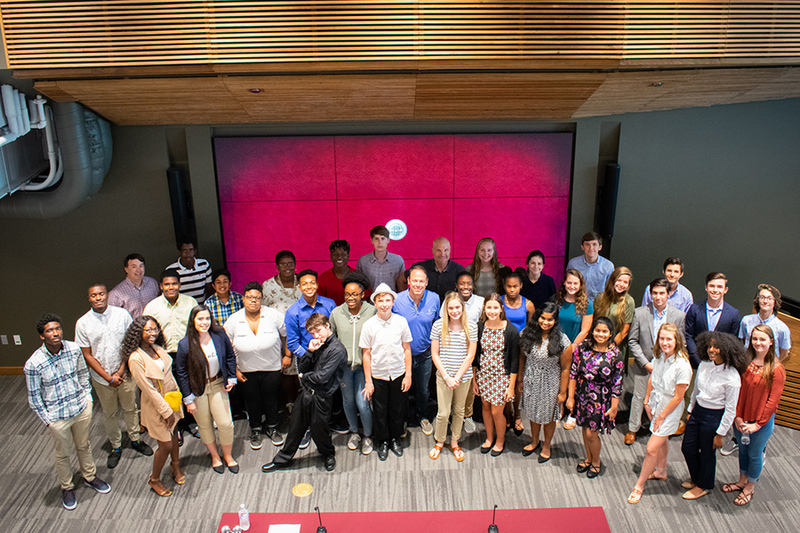 Florida State University’s Jim Moran School of Entrepreneurship hosted 38 local high school students for its first-ever entrepreneurship camp during the week of June 18-22. 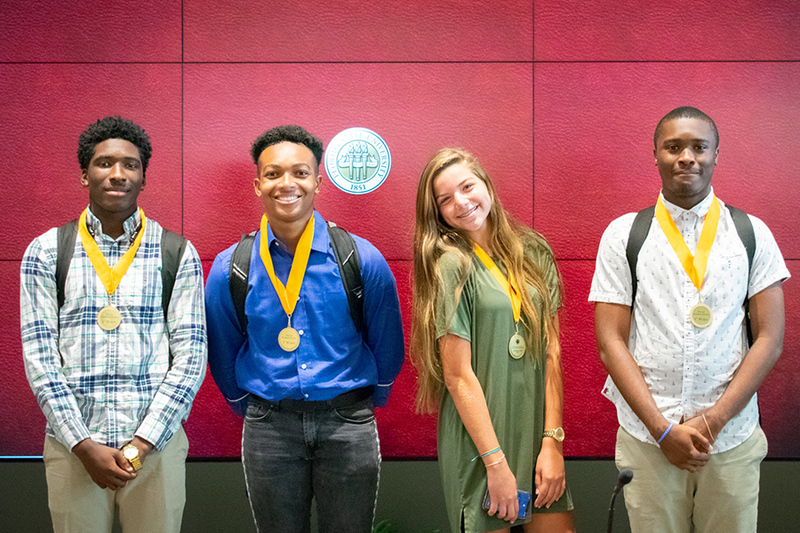 Students were exposed to many successful local entrepreneurs and concepts through experiential learning during the camp held on the FSU campus and at the new Jim Moran Building in downtown Tallahassee. Bob Garner, a member of the Jim Moran School faculty and camp director, said the idea was something that he had visualized for some time. “We had been talking about this idea for quite a while, so we are pleased that all the pieces came together this summer with the help of both faculty and staff from the Jim Moran School,” Garner said. 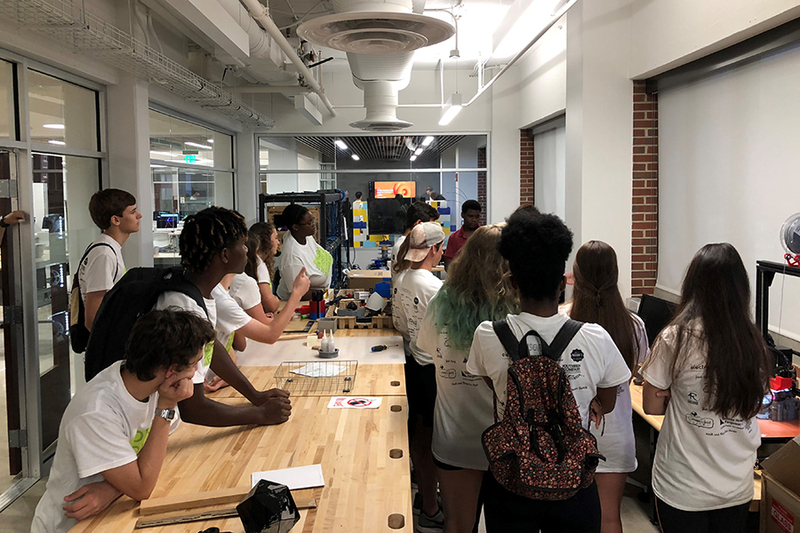 Students spent time at the FSU Innovation Hub where they experimented with virtual reality tools and designed a coin on a 3-D printer, a tool that allows entrepreneurs to design prototypes for their inventions. The students also visited the manufacturing facility for Divvy-Up Socks, a local business whose founders are graduates of the FSU entrepreneurship program. Jason Macintosh and Mitch Nelson founded Divvy-Up as students in the program and since graduation, they have expanded the business to more than 25 employees and have become a leader in the custom design sock industry. The camp’s final event was a “pitch contest,” where student teams brainstormed an idea for a business and pitched it to a panel of judges. The pitch contest allowed students to be creative and practice their presentation skills. Garner thanked many local small business owners for their support, including four local restaurant owners who donated lunch: Brad Buckenheimer, Canopy Roads Café; John Rivers, 4 Rivers Smokehouse; Michael Holmes, Uncle Maddio’s Pizza; and Terry Widener, Chick-fil-A. Four local businesses also donated funds to help offset the expenses of the camp: Dean LeBoeuf of Brooks, LeBoeuf, Bennett, Foster, and Gwartney; Winston Howell of Thomas, Howell and Ferguson; Chris Jensen of Prime Meridian Bank; and Paul Watts of Electrojet. Twenty-seven individuals also donated funds during the school’s Spark “Great Give” campaign.